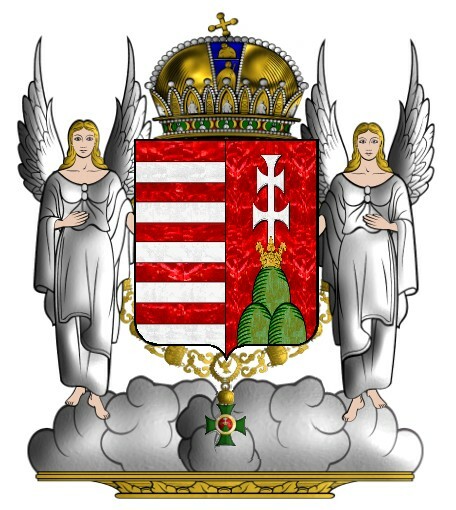 No other Hungarian king was held in such high esteem. The whole nation mourned for him for three years, and regarded him as a saint long before his canonization. A whole cycle of legends is associated with his name. He was canonized on June 27, 1192. A number of miracles are attributed to him. On the occasion of some pestilence in the country, he is said to have prayed for the cure before shooting an arrow into the air at random; the arrow then hit the herb which would cure the illness. At another time, he was pursuing a Pecheneg force raiding the realm. 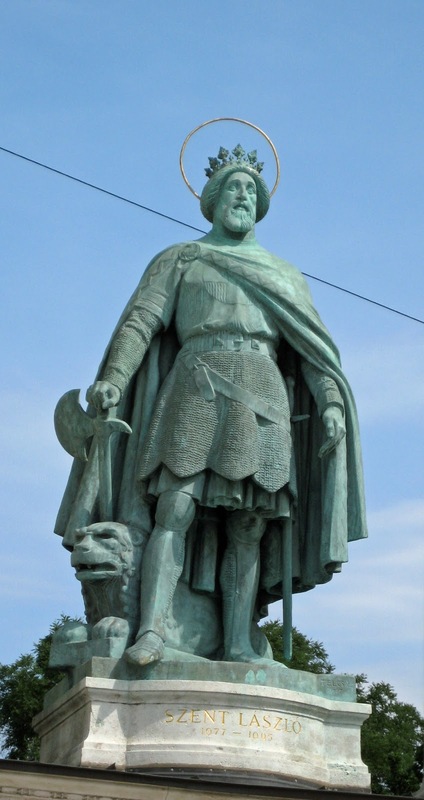 According to the story, the king was catching up to the raiders, who decided to scatter the money they had looted before the pursuing Hungarians. The ruse worked as the soldiers stopped to gather the money. 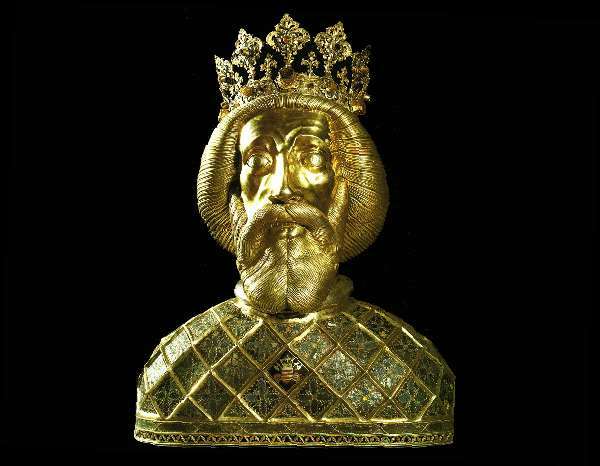 The king is then reputed to have turned all the gold to stone through a prayer, allowing him to put his army on the march again, defeat the raiders and free their captives. C.A. 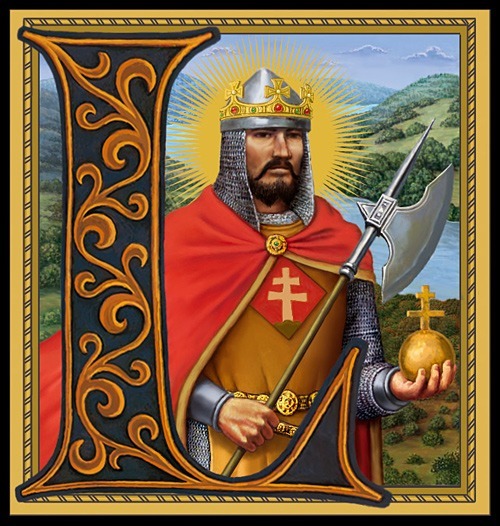 Macartney, in his Hungary: A Short History, eulogizes Ladislaus thus: "Ladislas I, who, like Stephen and his son, Imre, was canonised after his death, was the outstanding personality among them: a true paladin and gentle knight, a protector of his faith and his people, and of the poor and defenceless." In a rather unusual manner for a saint, he is traditionally depicted with a battle-axe. 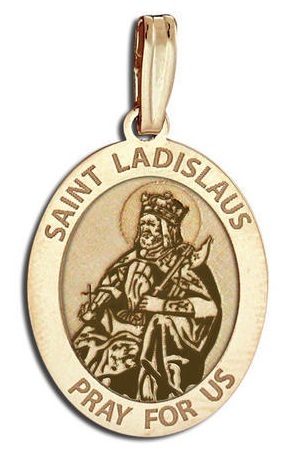 Saint Ladislaus is also the patron saint of an architecturally significant church in Chicago's Portage Park area, St. Ladislaus.